VIENNA — Austria forward Guido Burgstaller will return to the national team for next week's World Cup qualifier against Moldova and a friendly against Finland. Missing from the team since being dropped ahead of the 2016 European Championship, the Schalke player was included in the 23-man squad announced Tuesday by Austria coach Marcel Koller. 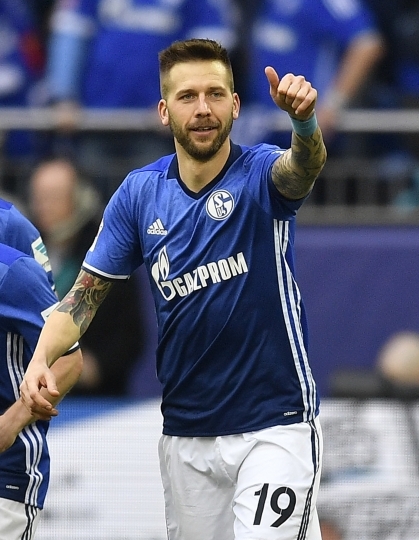 "He moves a lot, creates space, is a two-footed player, and he has proven that he can score goals," Koller said about Burgstaller, who has scored six times for Schalke since joining the Bundesliga club during the winter break. The squad contained two debutants, Stoke goalkeeper Daniel Bachmann and Salzburg defender Stefan Lainer. Bachmann replaced Leverkusen goalkeeper Ramazan Oezcan, who announced his retirement from the national team on Monday. Austria plays Moldova in Group D in Vienna on March 24, and hosts Finland in Innsbruck four days later. After four qualifying matches, Ireland leads the group with 10 points, followed by Serbia with eight, Wales with six, and Austria with four. Copyright © 2015 - 2019 Daily Sports Club. All Rights Reserved. From transfer news, tactical analysis to predictions, get only the best of the world of sports daily with Daily Sports Club.